EY is a global leader in assurance, tax, transactions and advisory services and each year trains tens of thousands of new recruits to become fully qualified executives. To help their newly qualified execs decide on the right career path, EY required the design of a Talent Centre service to provide personal career coaching and guidance. EY believe that an integral part of building a better working world is ensuring that their employees are well matched to their role in terms of values, attitudes and motivations. EY endeavoured to create a service to help in this process as well as avoid people moving elsewhere. Having had extensive experience of providing high volume online development services for other large clients within the finance sector, Criterion could provide a bespoke solution that was both cost effective and efficient. To enable Qualified Executives to understand their personal career-development profile and explore its implications on their experiences in their career to date, and on their further career path. To ensure that the 1:1 career coaching interventions provide powerful insights for the individual and form the basis for transforming their career to the next stage. To provide a service that implicitly and explicitly communicates attraction messages to encourage Level 2 (Qualified Executive) individuals to develop their career within the business rather than look for external opportunities. Criterion worked closely with existing Qualified Executives to conduct thorough role research, using focus groups to explore EYs career development themes. In parallel, Criterion worked closely with key stakeholders including line managers, coaches and L&D managers to establish priorities for the content of the development tools. 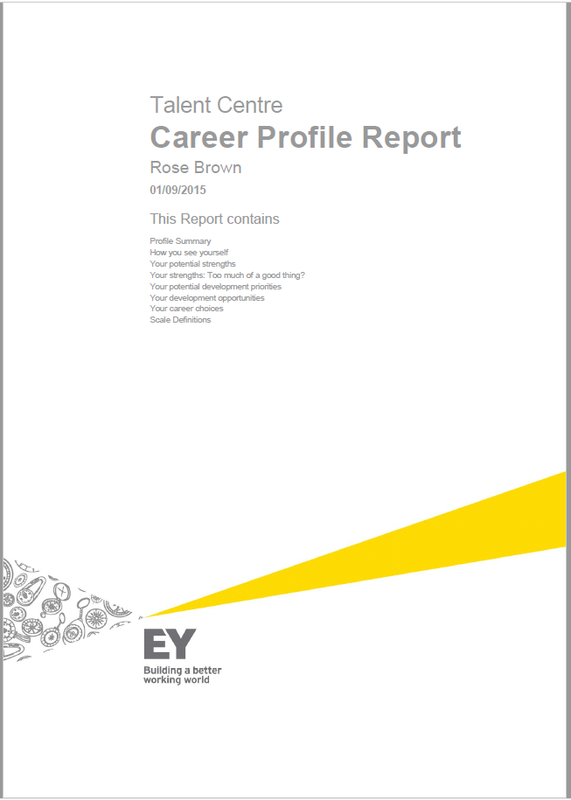 The personality dimensions measured by the questionnaire were selected from Criterion’s library of scales to reflect the rewards, demands and challenges of different EY career paths. The EY personal strengths questionnaire illuminated the Qualified Executives’ emotional style, drivers and key behavioural strengths. Individuals then worked alongside coaches to understand how to exploit these in order to maximise their career opportunities. We also ran training workshops for the coaches to ensure that they could interpret the results confidently, with a thorough understanding of the scoring and how to give best practise feedback to the individuals. System Launch: the program launched in 2015 with fantastic levels of enthusiasm and take up from the Qualified Executives.